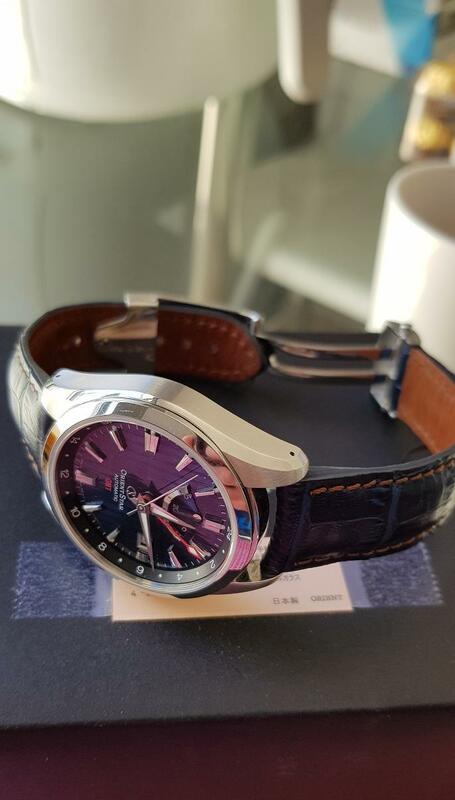 For sale is my high quality, rare piece from the Orient Star line of watches. Only sold within Japan. Not at all easy to find. 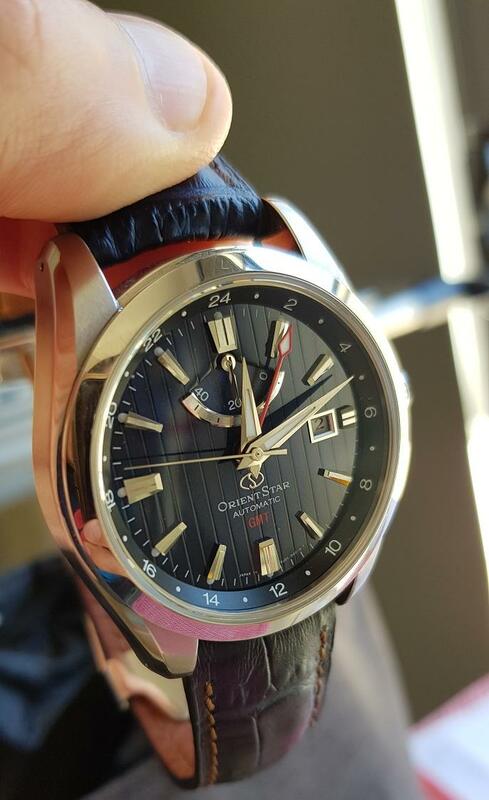 It has the in house Orient movement and is view-able through the case back with some lovely attention to detail. 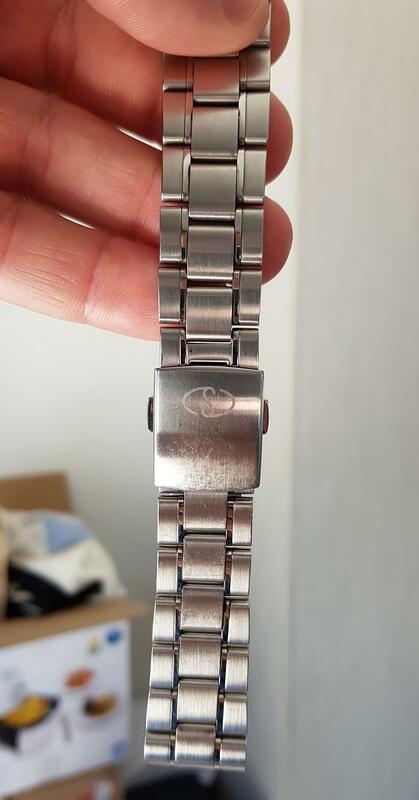 The watch is in perfect condition, currently on a blue leather band, but comes with the nice steel bracelet of high quality. Solid end links, milled push button release clasp and 2 spare links. My price is $1000 shipped, email me if interested.